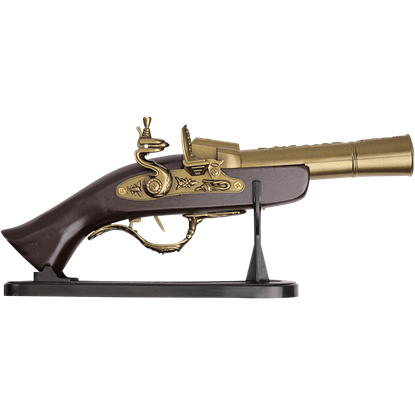 We carry a fascinating assortment of steampunk pistols and weapons brimming with clockwork and retro-futuristic detail, all perfect for any steampunk adventurer. Our steampunk replica pistols blend science fiction inspiration with Victorian style. 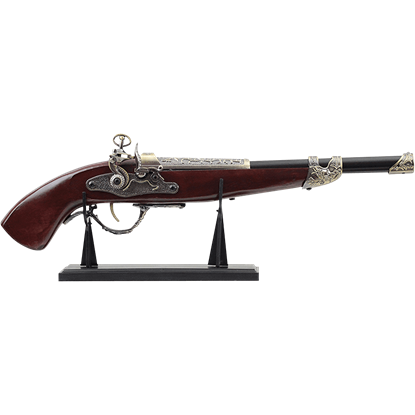 Here you will find steampunk space guns, replica steampunk flintlocks, and replica steampunk revolvers. These pieces are great for decoration or for adding detail to a steampunk look. 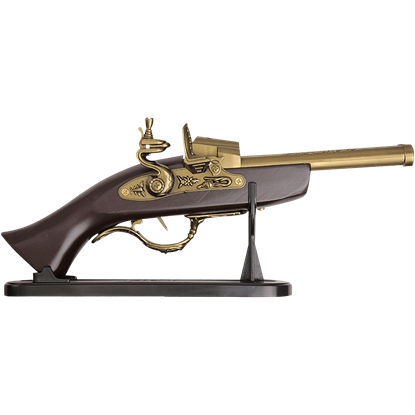 Check out replica steampunk firearms with holsters for carrying with you at your side, as well as decorative steampunk pistols and rifles with stands for display. 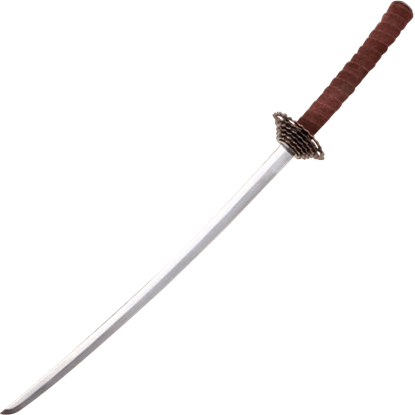 In addition to replica steampunk firearms, we also carry steampunk bladed weapons, like swords and daggers, for both display and defense. If you are looking for a way to look well-defended on your next steampunk expedition, or searching for the next piece of your steampunk decor, this is the category for you. Along with cutlasses and cannons, the flintlock pistol is a trademark weapon for pirates. 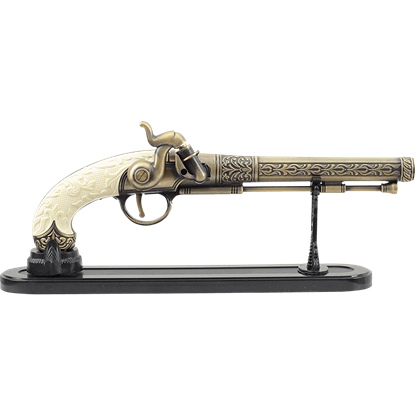 The Antique Silver Flintlock Pirates Pistol is a prime example of one of the many styles of flintlock that was used on the seven seas. The kukri is a versatile utility tool and weapon from Nepal that displays an inwardly curving blade. 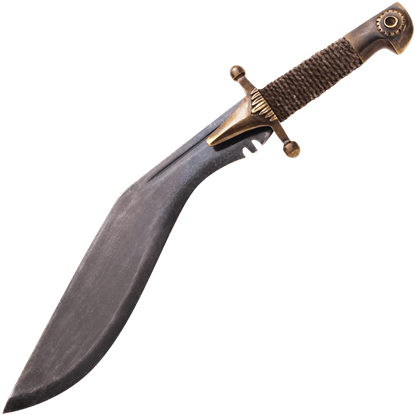 Effective as a chopping and slashing weapon, this Assassins Kukri has been redesigned to fit in a Victorian steampunk world. When trapped in an alternative Neo Victorian timeline, choose a knife as unique as the Bike Gear Handle Steampunk Dagger! 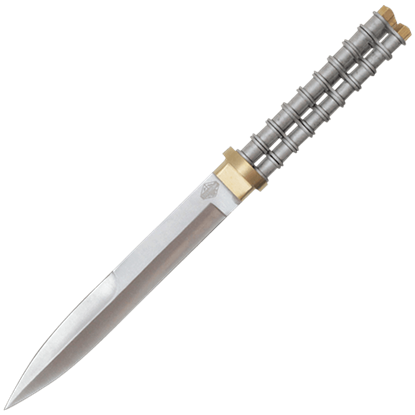 Made of stainless steel, this spear point blade is attached to an eye-catching bicycle gear style handle. The antihero of Jules Vernes Twenty Thousand Leagues Under the Sea attempts in vain to hide the darker parts of his person. 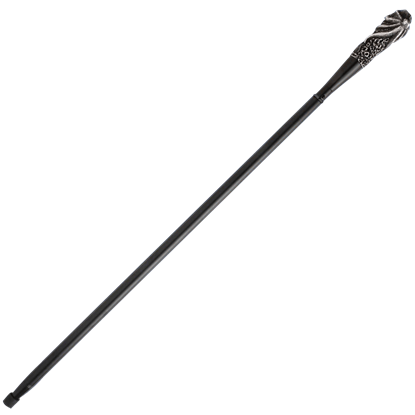 With the Captain Nemo Sword Cane, you can hide your weapon of self-defense any time you venture out on land. 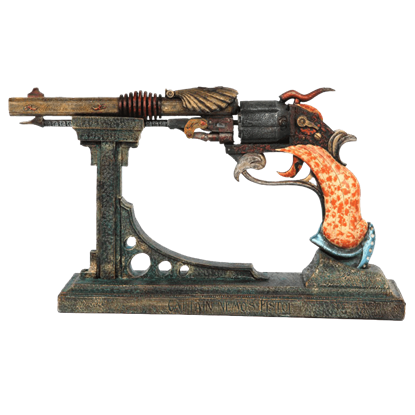 Jules Verne is the author of the first nautical story to have elements of steampunk in it, and that tradition continues in the form of this Captains Nemo Steampunk Pistol and Stand, which bears name of his legendary sea captain. This unique cane could have easily been found on the Riverboats of the Mississippi or the back gambling rooms of London during the late 1800s. 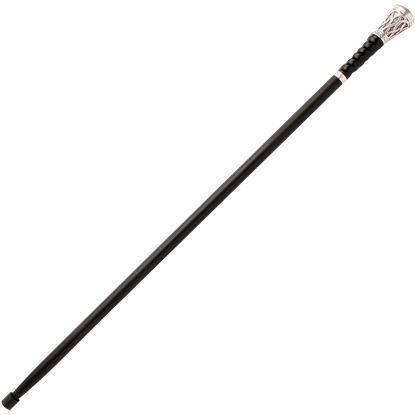 The sturdy construction of this Gamblers Sword Cane makes it perfect for everyday use. A glove thrown at the foot of your opponent shall initiate the duel in which the Ivory-Handled Dueling Pistol is used. This ornate dueling weapon may not function like an actual weapon should, but it will provide a great story! 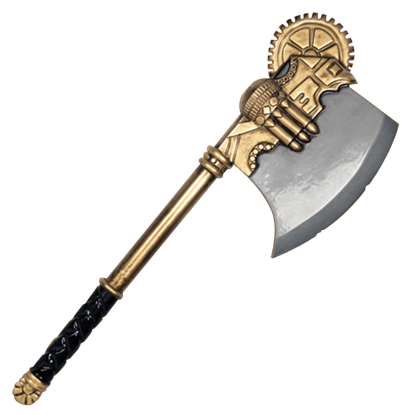 This exotic looking LARP Airship Pirate Hand-Axe is from a by-gone age, when steam power ruled and airships filled the sky. 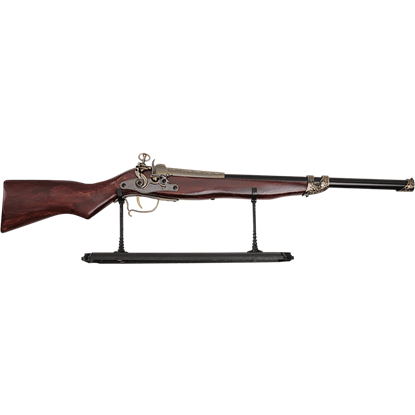 Its overall design is both futuristic and antiqued, which enhances the esoteric look of this formidable weapon.